I received tickets to Busch Gardens Tampa from Sea World Parks and Entertainment in exchange for writing a review on this blog. The only thing missing from our last trip was a chance to see Christmas Town, Busch Gardens' holiday extravaganza with over a million lights and holiday decor throughout the entire park. While we were able to see the decorations during the day we weren't able to experience the magic of the lights. Luckily, we were able to go back, and to bring Ian and Mia with us now that they're on Christmas break from school. Cassie had to work and couldn't go (bummer!) but it was great having the other five kids there. This week the park is open from 9:00-9:00 most days this week, with most of the Christmas Town festivities beginning at 6:00 pm, with some things like the Christmas Caroling train beginning earlier. Of course since we'd just been there we didn't hurry to get there by 9:00 ... yeah, right! At 6:30 am everyone was up and getting ready for an awesome day. We arrived shortly after 9:00 am and stayed until 9:00 pm. Let me tell ya, we got our walking steps in for the day. No, falling straight down doesn't do it for me. Yikes. After a terrific day of roller coasters (not me, definitely not my passion), playing, eating, and watching some shows it was time for Christmas Town. It was amazing. My pictures do not suffice, at all. I did my best but didn't have a great lens (or tripod) for capturing the lights and activity. I believe every tree in the park was wrapped in lights or had lights hanging from it. Christmas trees were everywhere decorated in every color of the rainbow. In total, over 1,000,000 lights were used to create Christmas Town. In addition to the lights there was "snow" blowing, specialty shops set up, holiday music, and a variety of performances to watch. There was also a huge Christmas Tree in Jungala with lights that changed color and flashed to music. While Adam, River, and I watched the tree do it's show four times we missed the marriage proposal that occurred when the rest of our party was watching it (she said yes)! The roller coasters and most of the rides stayed open at night, as did the restaurants and shows. The roller coaster lovers had a great time riding them in the dark, apparently they are even scarier when you can't see where you're going ... as if they weren't scary enough already! I can happily say that for this visit, quite unlike our last visit, we had perfect weather. We did bring in our sweatshirts but didn't need them until late at night. Had we wanted to we could have easily rented a locker for the day to store them. Because we were there all day we opted to get the All Day Dining Passes. They are wristbands that you simply show the cashiers when you get your meals. With the passes we were able to get one entree, one side, and one beverage each time we went through the line. We drank enough water to get our money's worth out of the passes. The passes cost $35 at the park, but they can be purchased online for $3 less. Christmas Town runs through the end of 2014 at Busch Gardens Tampa and admission is included in regular day admission. 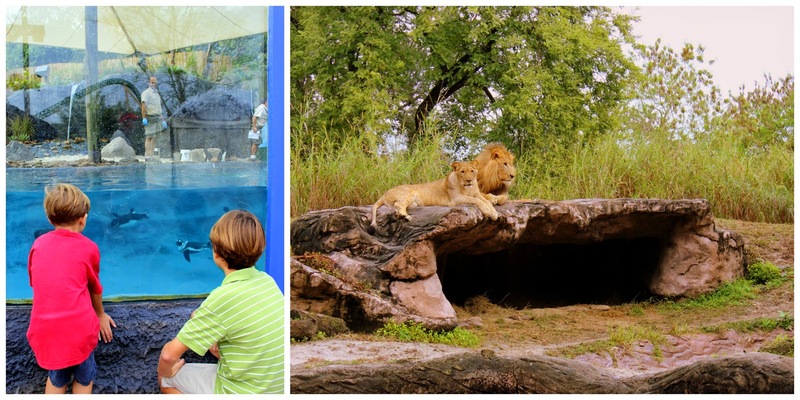 We've visited Busch Gardens three times in 2014, which got me thinking about annual passes. I used to like the annual passes because the kids could play and cool off in the water features all summer long; yes, the younger ones would still like that but now that they're older the kids really like the roller coasters, shows, and animals and they'd be thrilled to go back more than 3 times a year and continue to discover something new each time. We were able to cover a lot of ground during our 12 hour visit this week but there were still things we didn't see (the kangaroos, Sesame Street Safari of Fun) even though we wanted to. After three visits we were not at all tired of the park and would love to go back a few more times ... yes, annual passes would be a very good thing. 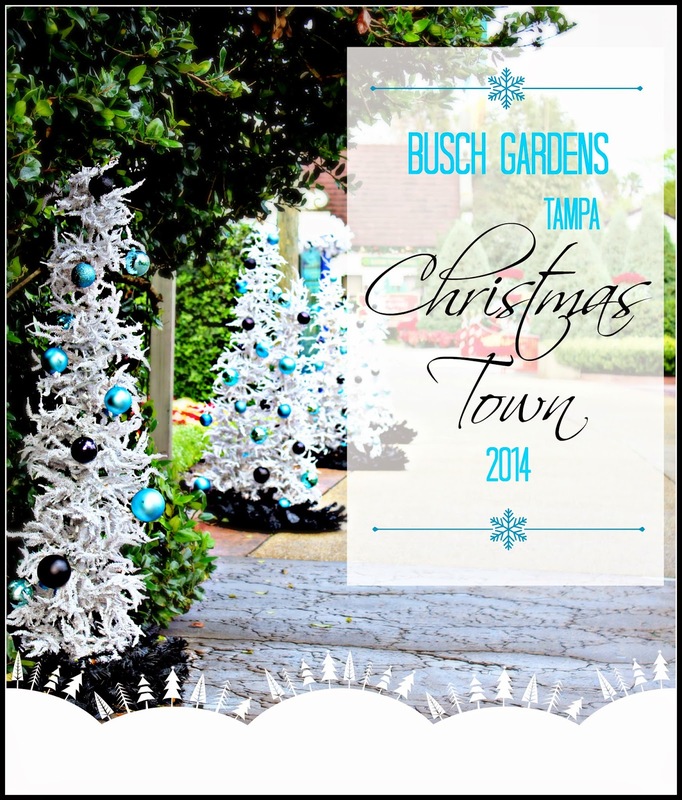 Have you been to Busch Gardens Christmas Town? What were a few of your favorite things?